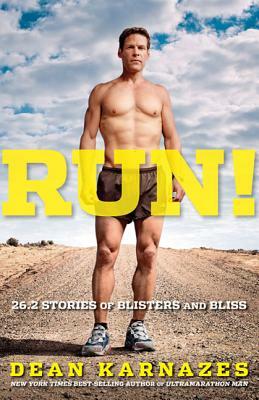 In his follow-up to the best-selling Ultramarathon Man—which Sports Illustrated called "fascinating" and the New York Times said was "full of euphoric highs"—world-renowned ultramarathoner Dean Karnazes chronicles his unbelievable exploits and explorations in gripping detail. Karnazes runs for days on end without rest, across some of the most exotic and inhospitable places on earth, including the Australian outback, Antarctica, and the Tenderloin District of San Francisco. From the downright hilarious to the truly profound, the linked stories in Run! create an unforgettable tableau, providing readers with the ultimate escape and offering a rare glimpse into the mind-set and motivation of an extreme athlete. Karnazes addresses the pain and perseverance and also charts his emotional state as he pushes the edges of human achievement. The tales of the friendships he's cultivated on his many adventures around the world warm the heart and are sure to captivate and inspire readers whether they run great distances, modest distances, or not at all. DEAN KARNAZES was named by Time magazine as one of the Top 100 Most Influential People in the World. He has appeared on 60 Minutes, The Late Show with David Letterman, and the Today show. A New York Times best-selling author, he has written for Reader's Digest, Runner's World, and Men's Health. Dean lives with his wife and family in the San Francisco Bay Area.